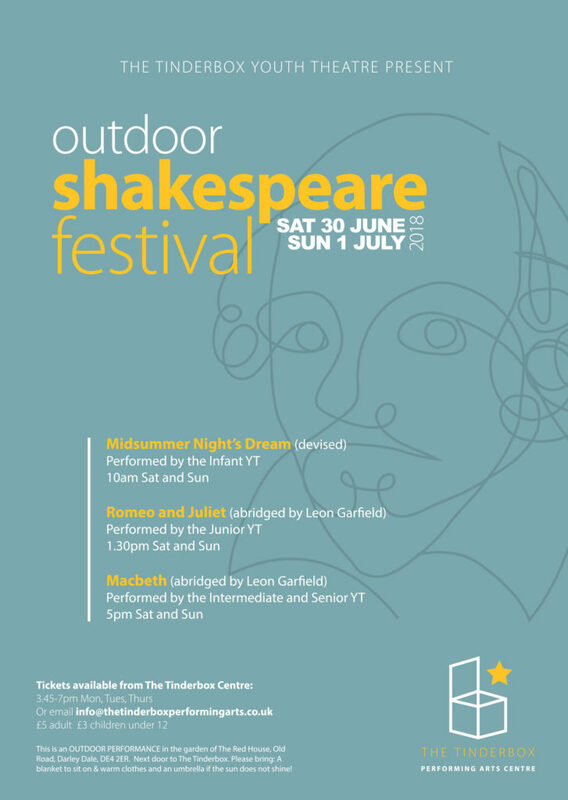 The Tinderbox Outdoor Shakespeare Festival- In the garden of The Red House, Old road, Darley Dale. All performances take place OUTSIDE in the Gardens of The Red House, Old Road, next door to The Tinderbox in Darley Dale. Tickets available for purchase from Monday 4th June. ← A Midsummer Night’s Dream- The Tinderbox way.